A reader has a mismatch between the body of a message and the ostensible sender. Since I updated to El Capitan on my Mac, it loads the wrong sender with the wrong body of the email. I can’t tell you how many times I’ve been embarrassed to discover when I hit reply without confirming it is the correct recipient, that a personal email got sent to a business or vice versa. I do not have this problem on iOS. Susan was also able to confirm with a third-party email program for OS X that the messages loaded with correctly matched sender and body, so it wasn’t Google that was at fault. I’ve been unable to replicate this, but checking around, I’ve found reports dating back a few years with similar problems—sometimes in OS X and sometimes in iOS. People were mystified until someone suggested a simple change: Stop syncing contacts with Google. 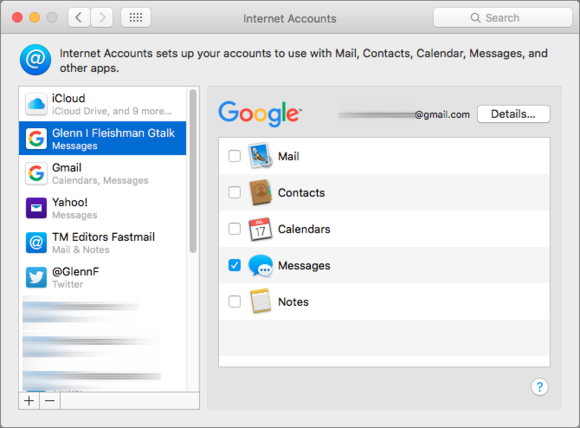 OS X uses the Internet Accounts system preference pane to manage syncing preferences. Open the Internet Accounts system preference pane. 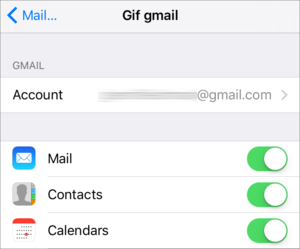 You can disable contact syncing in iOS in Mail, Contacts, and Calendars. Launch Settings and swipe down to Mail, Contacts, and Calendars. Set the Contacts switch to off. This is inconvenient if you want to keep these contacts up to date. But from all reports I’ve been able to find, only disabling contact synchronization provided a reliable way to prevent the mismatch. Some people were able to disable and re-enable that sync, and the problem stopped, but not for everyone.